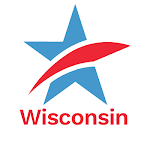 Common Cause in WI Statement on SCOTUS McCutcheon DecisionTweet this! Citizens United and now this? its been a rough period lately with Roberts Court on big money in politics but Common Cause will not give up trying to reform our democracy I'm sure We shall overcome someday!